This week’s assignment from the League: Baseball! The kids are off for Spring Break and my allergies are raging, that must mean that baseball season has begun. Once again this week, the topic has been ripped from the mind of fellow League member, the Claymation Werewolf (whether he was aware of it or not). It’s weird because I honestly can’t tell you the last time I sat and watched an entire inning of baseball, but I love watching baseball movies. This week’s topic is fairly open-ended because I wanted to let everyone interpret it in their own way. I’d love to see some more artists in the League, so spread the word to your creative friends, and maybe this is the week they hop on board! TL gets 6 points for being first, but loses 3 for making me sad. This one might be a tough one for me but i will see what i can do. No Baseball toys Brian but i did come up with something over at the Cosmic Ark so check it out buddy…..
Wow, we’re only two entries in this week and the nostalgia factor is exceeding all expectations. This is great! Mine is written. It will probably go up on Thursday. Surprisingly, I have a post for this week! KAPOW! I came up with a little something. I actually really had fun with this one, thinking back on the few baseball memories from my youth. Oh man, a wave of nostalgia just crashed over me with the sight of those mini helmets. Who didn’t have some of those as a kid? And those handheld videogames were the hottest thing ever. I will never forget the sound of the ball being pitched — dee dee dee dee dee dededeeeee. Strike one! I remember as a kid getting helmets like that out of a vending machine along with the football ones. I have no idea why since I was never really into sports! Mine dropped this morning. Loving all the entries this week so far. I would pay good money to see Billy Chapel pitch to Crash Davis. Great lineup! Oh man, Clarence, you win. I could barely keep up with all your players, but the fact that you had Willie Mays Hayes is reason enough to give your team the pennant. I forgot to include Bob Uecker as team announcer! I had forgotten just how many different video games there have been for baseball. My first video game was a hand held off-brand baseball game like the old Coleco games–a far cry from what the “kids” are playing these days on the consoles. Coleco? I think I had an LED baseball game made by them. It required a 9 Volt battery, didn’t it? You’ll also see how Touchgrove made an iPhone app repro of those games. Crazy. After a brief absence, I have returned! Post is finally up. It’s very “down the rabbit hole” haha! 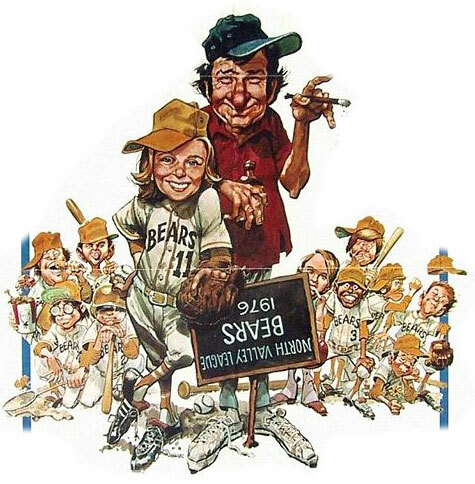 I wrote all about my all-time favorite Baseball Movie! I think I wrote and rewrote this post more than any other article in recent memory. tough week.